You are on a wedding planning adventure. Let me be your Sherpa up the mountain, to help you conquer each task and create an event that will stay with your family for a lifetime. YOUR EVENT SHOULD TICK ALL THE BOXES. I SWEAT THE DETAILS SO YOU DON’T HAVE TO. 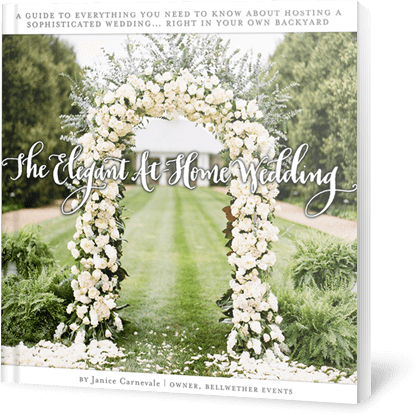 You ought to enjoy planning your special event. You deserve to make educated decisions and feel comfortable with your choices. You should be encouraged to spend wisely. You deserve to work with professionals who you trust and like. You have the right to feel relaxed and calm in the weeks, days and hours leading up to your big day. You have a right to spend your time at your event celebrating with your family and friends. Founded by Janice Carnevale in 2006, Bellwether Events is an open and affirming company dedicated to planning and coordinating Washington, D.C. events and weddings. Bellwether Events wants you, your family, and your friends to have the best possible experience, both during the planning and on the big day. We believe the secret to a fun and stress-free event day is planning with purpose. Together, we will make the effort to iron out even the smallest detail well in advance of your special day. Because the day is in the details. We look forward to hearing about your vision for the perfect event. From small affairs to grand galas, Bellwether Events can make your dream a reality.